Don’t let your life pass you by. We joke, as genealogists, about our close relationships with those who have gone before. “I seek dead people,” one t-shirt reads. “I brake for cemeteries,” another says. More than most, we take the long view — and often feel more comfortable with the lost than the living. And then something happens that reminds us how very precious — and fleeting — life is. Yesterday, The Legal Genealogist lost a friend. She will go into the records as Catherine. But those of us who loved her will never think of her as anything other than Katy. Or sometimes, for short, as Kay. And oh yes we will remember you. We will remember that you never lost the brogue of your Irish homeland. And that it grew deeper and broader when you spoke of its green hills. We will remember your smile and the way your eyes lit up when something tickled your fancy. And the hundred different ways that phrase sounded depending on just what he’d done this time. We will remember the depth of your friendship. All the things you did for all of those you loved. And how many of us there were that you loved. We will remember your courage in facing a life that at times seemed so precarious. Losing your mother when you were just a little girl. Cancer as a very young, brand-new immigrant to this country. The ominous signs of congestive heart failure in these past few weeks. We will remember your faith. And we will think of you today as we wing westwards towards a life full of new commitments and new responsibilities. And as you begin your final journey back to your homeland, to lie for all time next to the mother you lost so long ago. You gave us everything you had, oh you gave us light. You never let your life pass you by. And I will do my best to weep not for the memories. Catherine “Katy” Schaefer, d. 3 June 2014. A beautiful tribute. My condolences to Katy’s friends and family. So hard to say goodbye to a friend. Your words in tribute are beautiful. May your memories bring you comfort. Beautifully written. We lost my step-daughter at age 18 in a single air plane crash in California when the song “I Will Remember You” first became popular. Anytime I hear the song or the words it makes me think of Lara. Weep, but with joy for the memories. How blessed you were to have had the opportunity to make them. I feel the sorrow of your loss. I also feel the intense joy you had of knowing Kay. A beautiful tribute to your friend. Thanks for sharing this, Judy. A wonderful tribute Judy. So sorry for your loss. Thank you for sharing your memories of your dear friend Katy. 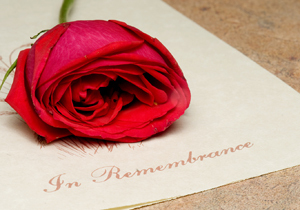 Your beautiful tribute brings back special memories of those we have held so dear. It warmed my heart. May you find comfort in your treasured memories. Those words, those tears, come right from the soul. I’m sorry for your loss, but so glad that you knew her so well as a special friend. Warm thoughts going your way. Thank you, Judy, for sharing so eloquently.